The 2009 launched Herreshoff Shooner Elena arrived in Antigua for the Yacht Charter Show. 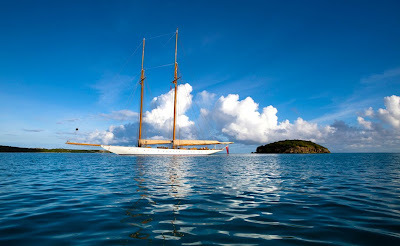 Soon after we scheduled a shoot at Green Island for their charter marketing. Client YCO, Monaco.